FolderMill is a Windows software for document workflow automation. It monitors a folder and automatically prints or converts all incoming documents. FolderMill can process most popular types of office documents including Microsoft Word files, RTF and plain text documents, Excel files, PowerPoint presentations, Visio drawings and charts, Microsoft Office Publisher and Adobe PDF files, XPS, JPG, PNG, PCX, DCX, Bitmap, GIF, TGA, TIFF images and documents. FolderMill works with desktop laser and jet printers connected via USB or Wi-Fi, as well as high-performance network printers used in offices; plus plotters and virtual printers. With FolderMill you can automatically print PDF and other office documents or images on all these printers. Some file formats can be printed or converted just by using FolderMill’s own internal engine. This means all you need to automatically print or convert these files is FolderMill. For others, you need to have another application installed. Please refer to the column “Required software” to find the exact software you need for each file format. Below is a list of input file formats supported by FolderMill. Please note that some formats can only be converted, and some - only printed. In order to extend the number of supported output formats, you can combine FolderMill with a virtual printer, like Universal Document Converter. With Universal Document Converter, you can set more flexible settings for output files, such as compression quality, cropping of margins, password-protected PDF, and more. Besides PDF, TIFF, PNG and JPEG formats already supported by FolderMill, Universal Document Converter can also convert to BMP, DCX, PCX and GIF. We are continually improving the functionality of FolderMill. 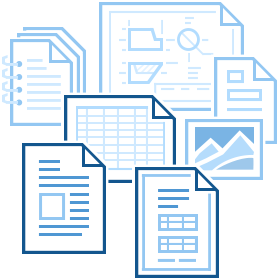 If you have documents in other formats you need to work with, but are not recognised by FolderMill, please Let us know.We will consider adding them in a future version.